« A Walk Through the Woods – Barefoot! 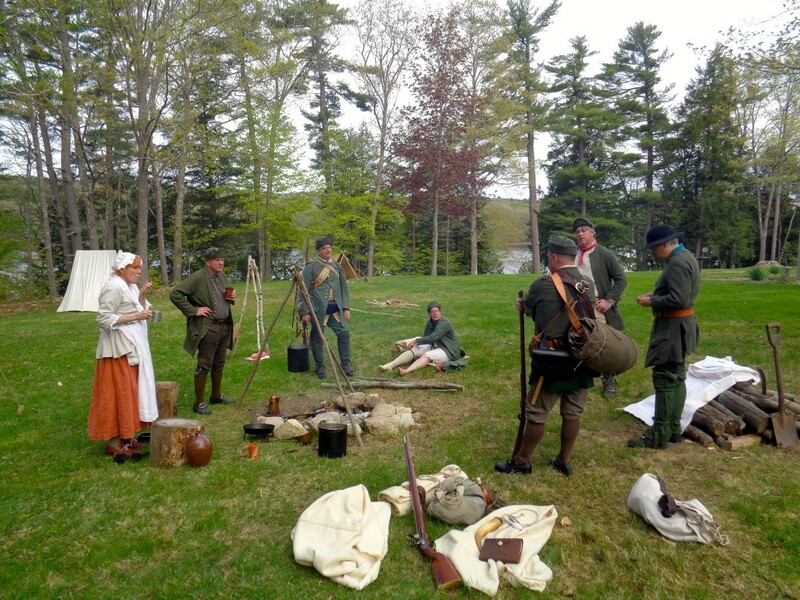 Here is your chance to step back in history to the mid 1700s with a reenactment and encampment of soldiers who historically protected the fledgling communities of the midcoast, followed by wild Maine game hors d’oeuvres and beverages from the era. The setting for this day of historical adventure will be Alvin Chase and Tozia Dippre’s farm in Warren, situated on the beautiful Georges River. This event has something for everyone. From 12 pm to 4 pm, families are invited to come out and learn about life for local soldiers during the French and Indian War presented by Fletcher’s Scouting Company. Visit their authentic encampment, learn how to make a basket, and hear stories of their adventures. Tickets to this portion of the event are Tickets to this portion of the event are by “pay what you can” donations. With the purchase of a full event ticket ($75 for members, $85 for non-members), in addition to the daytime activities, you will be invited to join the troops at their evening relaxation. From 4 pm to 6 pm, you will enjoy delectable hors d’oeuvres featuring wild Maine game (turkey, moose, deer, and salmon) washed down with ale. Our featured historian, author Mike Dekker, will share details of the power struggle that raged across the Maine frontier from 1675 to 1759 as European settlers and Native Americans clashed, in a series of six wars, to defend territorial claims to call the state home. Then, join the troops for a raucous game of chance! The summer weather will be wonderful, the nibbles delicious, and entertainment lively. This event will be outdoors in fields and woods, appropriate clothing and footwear is recommended. Date: Saturday, August 27, 2016, rain date, Sunday August 28. Day Event can accommodate unlimited attendance and we will accept “pay what you can” donations at the door. Evening Program is limited to 20 participants with advance tickets only.